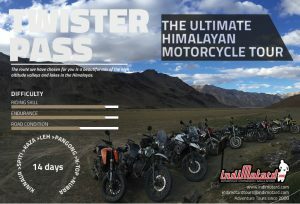 For the last 10 years we have been running tours in the Himalayas and the route that we offer on this tour is special. It takes us deep into the regions of the Himalayas that are otherwise termed as too difficult. Kinnaur districts with its majestic snow capped mountains, Spiti Valley that remains cutoff for most parts of the year. 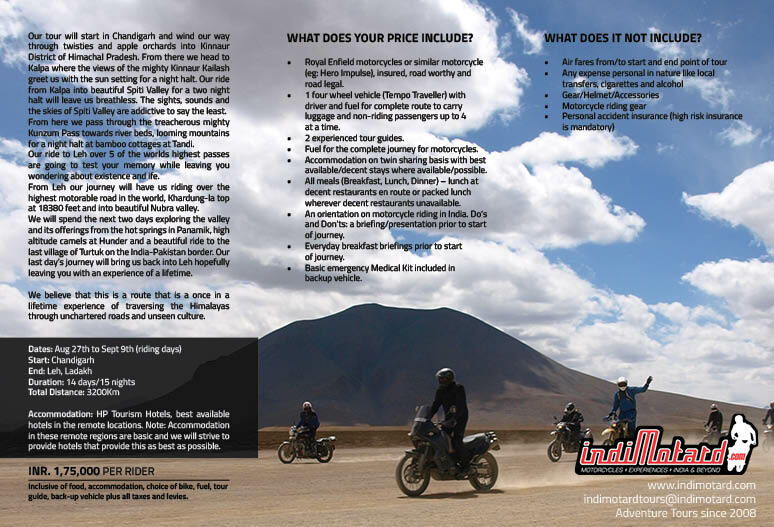 We ride through river beds, climb 7 of the worlds highest passes, ride upto the international borders of India. But what sets our tours apart: We believe we have fine tuned the art of touring in the Himalayas. From the beautiful boutique places that we stay in to the having the safety of experienced tour guides, back up vehicle that carries your luggage, qualified mechanic, medical assistance, motorcycle from our fleet, fuel for the journey, all room and board. 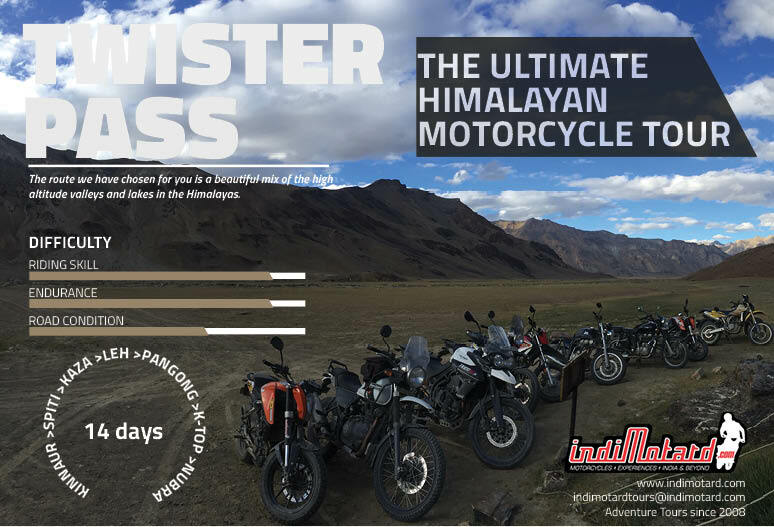 In fact from the moment you land at the starting point of Chandigarh to end of our tour in Leh, we believe you shouldn’t have to open your wallet for anything. The only thing you need is an open mind!! For more information check out our tours.